Adoption’s promise is full and permanent belonging in a U.S. family, the same as biologically related children. To be adopted into a U.S. family without automatically becoming a U.S. citizen seems both illogical and cruel. Yet, that was the case for most of international adoption’s history. For 52 years, adoptive parents had to secure their child’s’ citizenship through a naturalization process post-placement. This did not always happen. As a result, some adoptees were left as non-citizens. It took the Child Citizenship Act of 2000 to correct this injustice and create automatic citizenship for intercountry adoptees. The Child Citizenship Act did not apply to all adoptees, however. Those who were 18 or older on 2/27/01 were excluded from the new law. 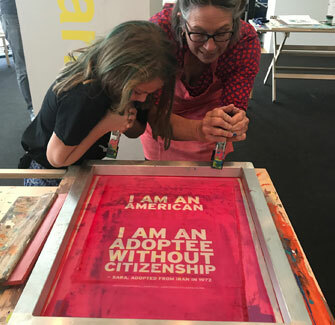 The result: 35,000-50,000 people adopted by U.S. families do not have citizenship. 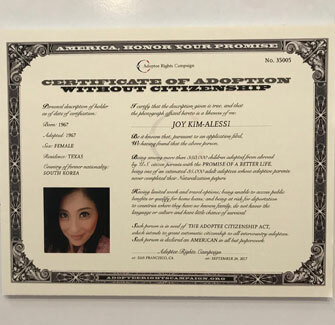 In addition to feeling othered and unsafe in their own country, adoptees face consequences ranging from difficulty traveling and receiving social security payments to deportation. In fact, over two dozen U.S. adoptees have been deported as adults to their birth countries, where many have no known connections and don’t speak the language. The Adoptee Citizenship Act would close this loophole, so that all U.S. intercounty adoptees can become citizens. 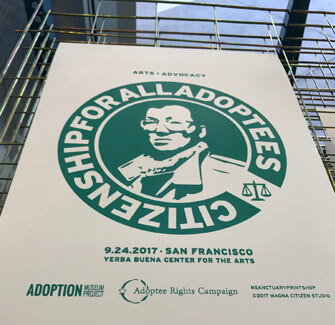 The Adoptee Rights Campaign is currently working to pass this legislation.